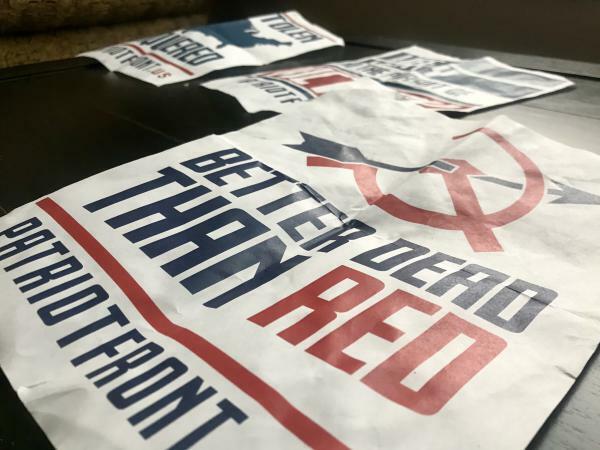 Posters that were found on the University of Utah campus from a white nationalist group with ties to the identitarian movement. European authorities are looking into whether the suspect in last week’s terror attack on two mosques in New Zealand was inspired by an emerging, European-based breed of white nationalism. The identitarian movement, formed in France in 2016, broadly believes that white people in Europe and North America are being displaced by non-European immigrants. Over the past few months, groups affiliated with this idea have strung banners and put up posters on college campuses in Utah, Wyoming, Colorado and Montana. Their members are mostly anonymous and espouse racism and hate online. Medina said there are parallels between those who join white nationalist groups and those who join other extremist groups like al-Qaeda or ISIS. The Mountain West is not the only target for these white nationalist groups. A recent report from the Anti-Defamation League showed that protests and posterings increased across the country by more than 180 percent in 2018. After the mass shooting in New Zealand, The U.S. House Judiciary Committee announced plans to hold a hearing on the rise of white nationalism here at home. Wyoming Republican Congresswoman Liz Cheney turned some heads in Washington last week when she opposed a resolution denouncing all forms of hate. She was one of a mere 23 who voted against the measure. A recent report from a non-profit group aimed at erasing misconceptions about Native Americans says Indigenous people still face discrimination and invisibility. Friday six former African-American football players from the University of Wyoming's team reunited after almost fifty years to be honored on UW's campus. Recent events at the National Finals Rodeo in Las Vegas caused some reshuffling of the Cody Stampede Rodeo's board.